Optimum Compaction: Carbon is layered into a series of plies compacted to the ideal fibre-resin ratio. The process starts with cutting carbon fibre from large sheets to a specific shape which is then placed into a mould. A combination of heat and pressure then compresses the sheets of carbon into a carbon lug. This combination of heat and pressure is OCLV’s most essential and closely guarded equation. Low Void: Voids are the spaces that exist between the layers of carbon fibre that comprise a component or frame. Minimising these voids is the primary goal of quality carbon engineering, as more voids translates to reduced strength and durability of the composite material. OCLV Carbon exceeds aerospace standards regarding the number of voids in its material. The development of the Tazer took us right back to the first Intense bikes ever built. In the early ’90s, when founder Jeff Steber first rode an MTB, he immediately had dozens of ideas about changes and tweaks he could make to improve its performance. 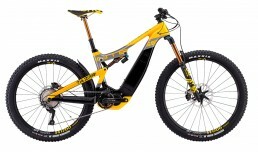 He incorporated these improvements into a totally new MTB design and Intense was born. Over 25 years later, Jeff has taken what he’s learned from riding E-bikes and applied his own tweaks and innovations. 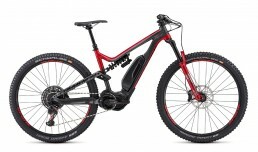 His goal was to make an E-bike that doesn’t feel cumbersome, has a seamless pedal-to-power transition and delivers a true mountain bike ride experience on a par with the rest of the Intense collection. That bike is the Tazer – more than an E-bike, it’s an Intense that just happens to have E-assist. If you any further information please send us your contact details and we will get back to you as soon as possible. You can also use our Live Chat down below!